In a study observing aging in the US, it was found that 85 percent of seniors have done nothing to prepare their home for when they grow old. When you are still at an age where the long-term is at a distance, you may buy a home for its stainless steel appliances and the brick oven on the patio, but considering specific features is important to how you age and stay safe and independent longer. Staying independent is one of the main goals for seniors, and at All Care At Home we provide just that. Our home care services include preparing a senior-safe home. 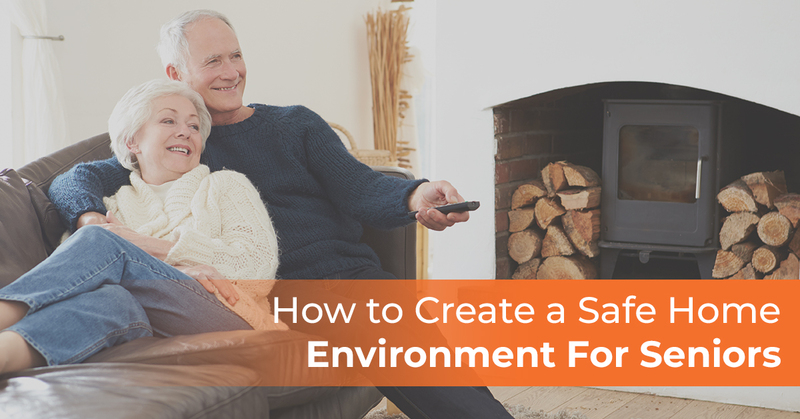 Learn more about how to create a safe home environment for seniors. When living alone as aging seniors, it can bring up concern for safety and security because seniors are more prone to accidents and injuries, where a even a hip fracture can be mean the end of living independently or even be fatal. Below are ways to keep a safe environment in each room of the house to increase safety and quality of life. All basic living needs on one floor – When you have the kitchen, bathroom, and laundry on one floor, this avoids stairs where seniors are prone to falling. A bathroom with a walk-in shower – A walk-in shower equipped with a bench or bars and rails to hold onto is much safer than a shower with a bath. Because you have to climb up and over the tub, it creates instability and subjects one to fall. 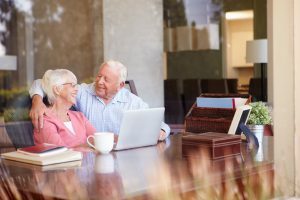 A senior safe home takes a few adjustments, but in doing so it protects them and creates a safe and secure environment when you’re not in the home. For more information on our home care services, connect with us today!